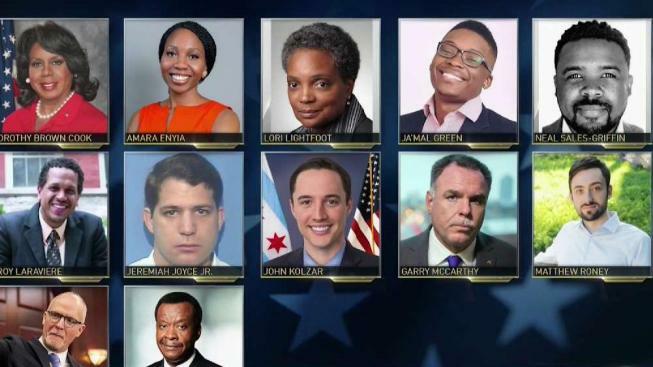 There are twelve confirmed candidates running for Chicago mayor in the 2019 election. NBC 5’s Phil Rogers reports. After Chicago Mayor Rahm Emanuel unexpectedly announced that he would not seek a third term in office, several figures - including former President Barack Obama - shared their own reactions to the political bombshell. Emanuel was Obama's first White House chief of staff when he took office in 2009, a role in which the former president said he was a "tireless and brilliant public servant." "As a mayor, a congressman, and my first White House chief of staff, Rahm Emanuel has been a tireless and brilliant public servant," Obama said in a statement. "His work to improve our schools is paying dividends by helping our teachers and students achieve faster academic improvement than students in 96 percent of America’s school districts," Obama continued. "The announcement to establish universal pre-K in Chicago, on top of universal kindergarten, will give all our kids the best possible start. And his implementation of debt-free community college will help prepare all our young people for the new economy," he added. "With record job growth and record employment over his terms in office, Chicago is better and stronger for his leadership, and I was a better President for his wise counsel at a particularly perilous time for our country." "I’ve been blessed to call Rahm my friend," Obama said. "Whatever he chooses to do next, I know he’ll continue to make a positive difference, just as he has throughout his career in public service. And Michelle and I wish Rahm and Amy all the best as they consider this next phase in their lives." Yet another former commander in chief shared kind words for Emanuel - former President Bill Clinton, in whose White House Emanuel served as an advisor. "From the earliest days of my presidential campaign over a quarter-century ago, through my time in the White House; his service in Congress; as Chief of Staff to President Obama; and for eight vital years as Mayor, Rahm Emanuel has served with vision, purpose, principle, and impact," Clinton said in a statement. "I believe he succeeded because he cares about people, policy, and politics. Even people who disagree with him strongly on some issues understand that," he continued. "Rahm keeps score the right way: by the number of lives changed for the better—the number of children getting pre-kindergarten; the number of young people going to community college tuition-free; and the number of new jobs and new businesses. He is proof that if you focus on the trend lines, not just the headlines, a public leader can make a lasting positive difference." "Decades from now, the children who are starting pre-k today thanks to Rahm will be smarter, stronger, and better able to succeed in a rapidly chaining world. They will take their turn leading the city and our nation. That is truly an enduring legacy," Clinton's statement continued. "He has decided to step aside after two exciting and exhausting terms and an undefeated record in elections. As George Washington taught us, voluntarily leaving office can be an act of service that strengthens our democracy," he added. "As everyone knows, Hillary and I love Chicago for many reasons. It is a world-class city, with wonderfully diverse people, amazing strengths, and like all big cities, compelling challenges. Chicagoans were wise to pick Rahm Emanuel when they did. Now they must choose wisely again. Someone to continue addressing the challenges, maintain the strengths, and bridge the divides," Clinton said. "Hillary and I treasure our friendship with Rahm and Amy. With Zach, Leah, and Ilana, I know they will write a new chapter in their rich, eventful life of service." "Rahm's record of public service spans Congress, the White House, and the fifth floor of City Hall in Chicago," Durbin said in a statement. "I have worked closely with him at every level of his public career. I always knew a call from Rahm was an invitation to join him in a bold, ambitious effort to make life better for those he served. It has been my honor to join him in these great ventures. 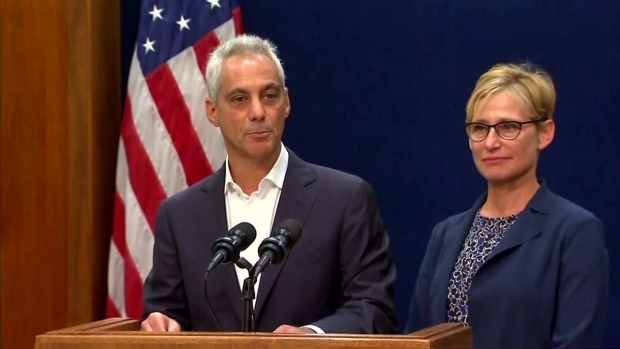 Rahm has left his mark and I wish him and Amy the best in the days ahead." Mayor-elect sits down with NBCChicago's Mary Ann Ahern to discuss his Chicago2011.org website, his plans for public schools and the police force, and whether President Obama will attend the mayoral inauguration. "Having lived in a family in which my father and brother both served as Mayor of Chicago I understand the challenges and rewards of the job," Daley said in a statement. "During his time in office Mayor Emanuel has worked tirelessly to improve the City of Chicago. His leadership has been integral to resolving many of the challenges Chicago has faced and his dedication and determination have served to improve Chicago’s standing as a world-class city. 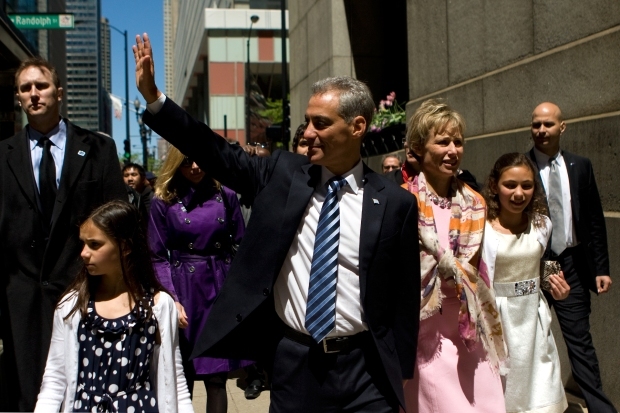 I thank Mayor Emanuel, his wife Amy and their children for their service and commitment to our great city and I wish them continued success in the future." "Mayor Emanuel and I had some lively arguments when I first took office as City Clerk," Mendoza said in a statement. "But we respected each other’s work ethic and were united by our mutual love for the City and the people of Chicago. He made tough choices that needed to be made and I admire his conviction and force of will that drove him to see many projects through for the good of Chicago. Knowing that there's still so much more work to do and so many critical challenges that would require a 100 percent focus, his decision to not seek re-election means that Mayor Emanuel is putting the City before himself. I admire him for that. As Rahm said, 'It has been the job of a lifetime, but it is not a job for a lifetime.' I thank Rahm for his dedicated service to Chicago as its mayor and I hope we find a worthy successor." "Rahm Emanuel’s commitment to public service—and the great people of Chicago—is undeniable. I thank him for his tenacity and compassion, and I wish him and Amy all the best in their next endeavors. We should all take this opportunity and the days ahead to reflect on what the city of Chicago needs moving forward to become safer, stronger, and more secure. Right now, I am focused on strengthening our national security to defend against foreign threats, championing our environment to ensure clean air and water for all, and advancing overdue infrastructure improvements that keep us competitive," Quigley said in a statement. "I have been proud to work with Mayor Emanuel on many issues over the past eight years, and I have been impressed with his commitment to duty and love for this great city. The impact of his reforms, particularly with early childhood education, will positively benefit the city for years to come. I commend him for his record of public service and I am proud to call him my friend. 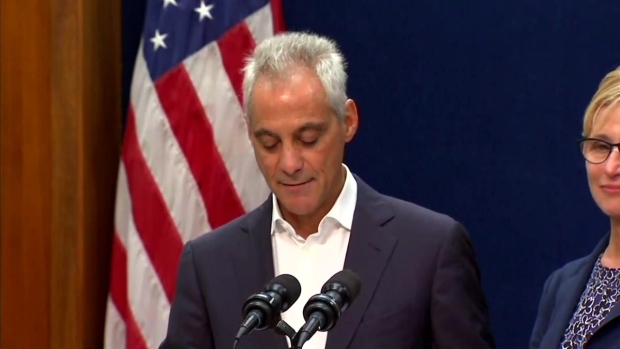 I offer my best wishes and thanks to Mayor Emanuel and his entire family," White said in a statement.